Thailand’s current tourism bull run is being underscored by a watershed of Eastern European travelers – a soaring source of business that delivered 1.6 million visitors in 2012, led by Russia with an 82% share. The sheer impact of the volume is nowhere more apparent than the holiday destination of Phuket which has experienced a direct hit, as over 650,000 Eastern European tourists injected US$1.2 billion into the island’s economy last year. 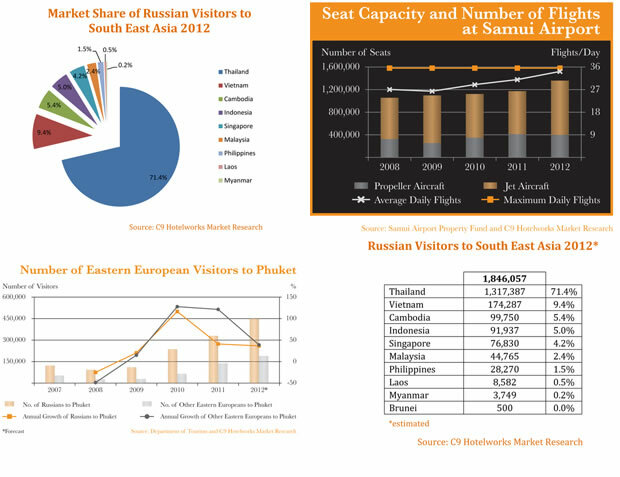 According to newly released market research by consulting firm C9 Hotelworks, Russia’s outbound market to South East Asia shot up over 1.8 million in 2012, making it one the year’s leading storylines. Over 71% of travelers visited Thailand, followed by Vietnam with 9% and 5% for both Indonesia and Cambodia. Surprisingly Singapore attracted only 4% of the total. Tracking the development cycle back to 2005, Eastern European visitors to Thailand then hovered at the 175,000 level. Stimulating the sustained demand was a visa exemption implemented in 2007, coupled with the rise of sustained economic explosion in the other Europe – the East. Leading the transformation has been Phuket’s rising airlift punctuated by its key strategic door-to-door travel time. According to the report, between 2008 and 2012 Russians and other Eastern Europeans visiting the island grew at a compounded annual growth rate of 77% – with charter flights catering to 56% of total passengers last year. The Emerging Eastern European Market report by C9 Hotelworks goes on to highlight that despite the mounting numbers, there is a pronounced seasonal trend, as 80% of the “snowbirds” come between October to April, and year-round demand remains elusive as tour operators and airlines redeploy aircraft to the Mediterranean during the summer months. “Looking forward, there is little doubt that the new Phuket tourism economy is now highly leveraged by the mounting influence of Eastern European visitors. 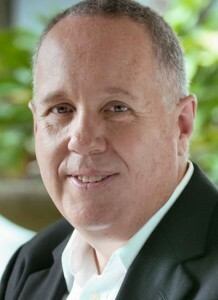 The rapidly changing tourism persona comes at a time when traditional markets continue to retract,” added Mr Barnett.